If the usual romantic messages aren’t quite doing it for you or your partner anymore, perhaps science can help. Kazuhisa Uekusa is a unique breed of daredevil performer. 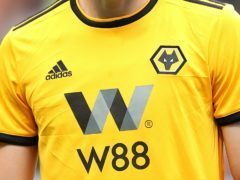 Wolverhampton Wanderers’ return to the Premier League after a six-year hiatus may have brought joy to fans, bountiful financial gains and good-old-fashioned success – but it came at a troubling virtual cost. Have you ever woken up in the middle of the night with a sudden realisation, sat up and blurted that realisation aloud? It’s hard to compare your achievements to your heroes and idols, but it turns out it can be just as hard to compare yourself to a duck. 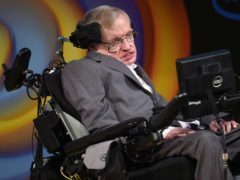 Stephen Hawking was one of the world’s finest scientific minds and a best-selling author, but the physicist was also famous for his sharp wit. A video of Dundee woman screaming like Homer Simpson has gone viral on social media. A number of cars have been damaged after a swan was captured on camera taking a bite out of the vehicles. Euro 2016: Was one Turkey defender too obsessed with his hair to stop Luka Modric’s goal? There was something wrong with the goal Luka Modric scored to give Croatia a 1-0 win over Turkey in Group D.